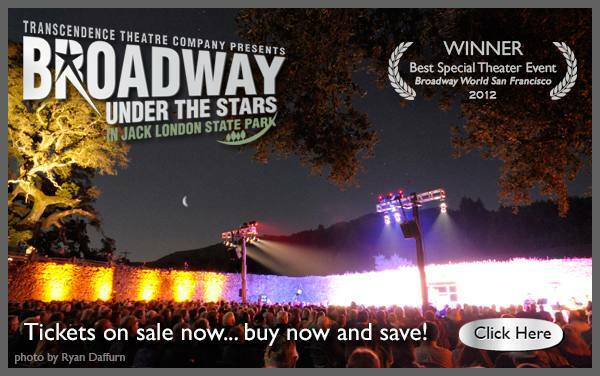 The Rotary Club of Glen Ellen-Kenwood is sponsoring the June 30 performance of Broadway Under the Stars at Jack London State Park in Glen Ellen. Last year they sold out most of their events. This is fun for adults and children. Part of the proceeds will go to the state park and part to Rotary to fund projects in The Valley of The Moon. Please make out your check for $50.00 each to GEK Rotary and mail to Gordon Freedman for personalized service. and Hollywood performers in the majestic open-air winery ruins in Sonoma’s Jack London State Historic Park. Folles, Gypsy, Hairspray, Follies, White Christmas, Million Dollar Quartet, Mary Poppins and more.